As I entered the Las Vegas Convention Center to join 26K+ attendees and more than 1K exhibitors at #MJBizCon, I noticed a large sign, “Immersed in Opportunity.” This is certainly true for today’s cannabis industry professionals. This was my first time attending #MJBizCon and it will not be my last. It was very impressive to see such a wide range of representatives from all corners of the industry – from dispensaries, cultivators, processors, hemp, and vertical – and all corners of the globe. The presentations also offered attendees an extensive range of informational and educational sessions, ranging from banking and finance, compliance, culture, corporate responsibility, and the power of branding, and social media. I also attended the Women’s Networking session which was wonderful and provided an opportunity to meet many dynamic and successful women in the industry. A favorite presentation was by Torsten Kuenzlen, CEO of Calgary-Alberta-based Sundial Growers, who presented an excellent keynote. Mr. Kuenzlen noted what is working in the cannabis industry, including economic opportunities where cannabis is legal, and what is not, including slow and inconsistent local and global legalization. He forecasted that the global cannabis market could be $2 trillion by 2050, showing calculations to back-up his prediction, and said that businesses in the industry must think and act beyond the current day-to-day and focus on safety, quality, and consumer trust. Jim Marty, CPA, CVA – Chief Executive Officer: As I walked around the convention floor among the 26,000 attendees, I thought about how far the cannabis industry has come in just a few years. I remember attending my first cannabis convention back in 2010 at a race track outside of Seattle. There were only about a 1,000 people there and at that time only a handful of the States had medical marijuana programs. Today, 33 States and the District of Columbia have some form of legal marijuana. The attendees at the MJBizCon were happily discussing the addition of Missouri and Utah to the medical marijuana community and Michigan to legal adult use as a result of the mid-term elections. It seems the legal cannabis movement has the wind at its back. 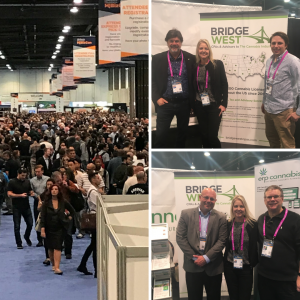 Cory M. Parnell, CPA – Chief Operating Officer: MJBizCon was a great success for Bridge West. We were able to connect with a lot of our clients in-person and make some new connections. The convention had an unbelievable energizing feeling this year which seems to be growing by leaps and bounds each year. It was also very exciting to announce our new Bridge West website during the conference. Thanks again to everyone who attended and stopped by our booth to visit with us. We look forward to seeing you again soon. 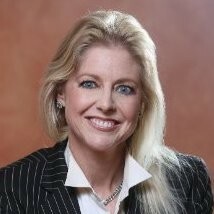 Calvin P. Shannon, CPA, CVA – Principal: The MJBizCon exhibition floor appeared to provide a variety of great solutions for a wide range of businesses in the cannabis industry. This combined with so many eager potential entrepreneurs generated an exciting and promising environment for everyone who is interested in participating in the industry. Also, regarding consulting, A&A, and tax solutions, it was great to have the opportunity to meet with so many potential Bridge West clients who wanted to learn more about how the solutions we provide will be critical to the success of their ventures. Brandon Van Asten, CPA – Manager: According to MJBizDaily, the walk to visit all of the vendors at MJBizCon this year was over 3 miles! Even with the large size, we were able to meet with several clients and acquaintances we often work with, and we met many new cannabis industry professionals. It’s nice to have an industry event like MJBizCon and a place at Las Vegas to bring us all together for the face-to-face connections.